After an evening arrival at the Delhi airport or railway station, get an assisted transfer to your hotel. Stay overnight. 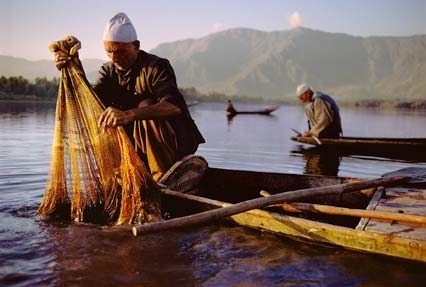 Get an on-time transfer to Delhi airport for boarding a flight to Srinagar, the capital of Kashmir, situated at 5200 feet. Popular as the “Venice of the East”, it is a beautiful place. 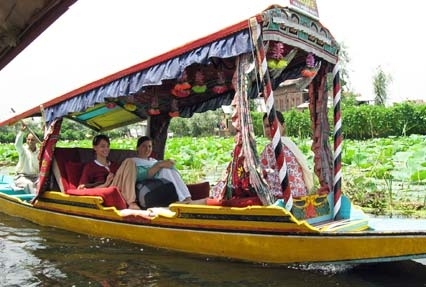 On arrival, check-in at a houseboat on Dal Lake. A traditional houseboat is made up of Cedar wood and has carved walls and ceilings, sitting room, a veranda, dining room, filled with all kinds of luxuries. Spend the rest of the day in doing activities of your interest. You can explore the mesmerizing surroundings on foot or can shop at the local bazaar for dry fruits, fruits, woolen, Saffron etc. Dinner and overnight stay in Houseboat. In the morning, enjoy a Shikara ride to the lake backwaters. You will cross floating gardens, lotus and lily beds and vegetable garden. You can indulge in fishing here. Lunch at the houseboat. 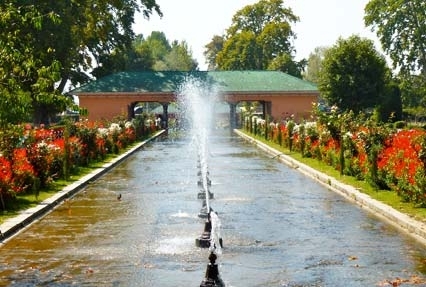 Post lunch, leave for sightseeing where you are going to cover the popular Mughal Garden, which will include Nishat Bagh and Shalimar Bagh, which was commissioned by the Mughals, during the 16th century. Stay overnight in the houseboat. Have your breakfast and hit the road to drive towards Sonamarg, also referred to as the “Meadow of Gold’. The journey along the river Sindh is going to be a mesmerizing one. Situated at a height of 7200 feet, the valley has an abundance of wild flower in the summers and a sheet of wild ice during the winters. You can have an astonishing view of the Himalayas from here. You will enjoy 3-night camping alongside the river Sindh. The camps are going to be comfortable ones that will have chairs, beds, carpets etc. In the afternoon, indulge in fishing in the river. Dinner and overnight stay in camps. The entire day 5 is booked fishing under the guidance of expert Gillies or Shikaries. The generations of these men have been in the same profession (Subject to availability). 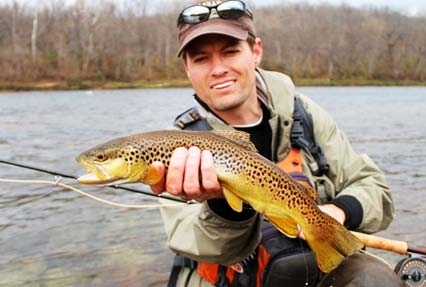 The best time of fishing is between the months of March until October. You are going to get trout and mahaseer in abundance here. Overnight camping. 6th day of the tour is also going to be same as the 5th day where you are going to indulge fishing. After a full=day of fishing, you can spend the evening in exploring the surrounding, on foot or if you want to can stay around the camp. Dinner and Overnight stay. The morning is free for leisure activities. Enjoy being in the lap of nature, amidst the majestic Himalayan mountains. In the afternoon, return back to Srinagar. On arrival, check-in at your houseboat. If you want then you can take a walk around, exploring the picturesque location. Dinner and overnight stay. The entire 8th day is free to rest and relax, being close to nature. In the evening, enjoy a Shikara ride to the backwaters of the lake. Enjoy the mesmerizing sunset while cruising along the lake. Dinner and overnight stay in houseboat. Enjoy a day-trip to Gulmarg today. Also known as the ‘Meadow of Flowers’, it is situated at a height of 8825 feet. 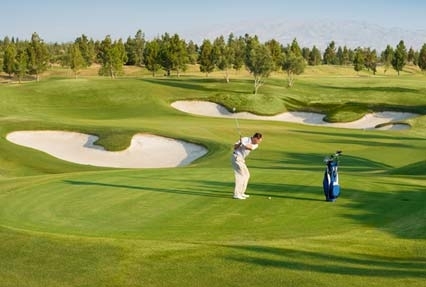 You can enjoy a number of activities here such as a horse ride or if you can you can also play a game of golf on the highest nine- hole course of the world. Enjoy the day here in this scenic place. In the evening drive back to Srinagar. Dinner and overnight stay in the houseboat. After breakfast, the 10th day is booked for sightseeing. In the morning, you are going to visit the f Shankaracharya Temple and the Kashmir museum. Post lunch, visits are going to be Jesus Christ Tomb and Jamia Masjid. Overnight in houseboat. After breakfast, move to the Airport to board a flight to Delhi. Once you arrive at Delhi, get transported to Agra by road. After reaching Agra, complete the check- in formalities. If time and energy permits, you can take a walk around to explore the surroundings or can also shop at the local bazaar. Overnight stay. 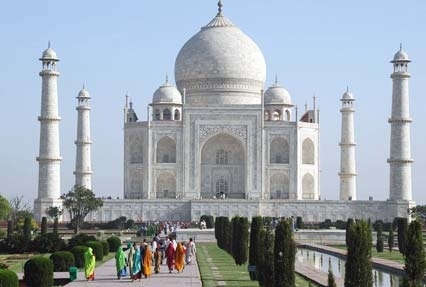 In the morning, you are going to take a tour of the Taj Mahal, one of the Seven Wonders of the World and later, Red Fort, a UNESCO World Heritage Site. After lunch leave for exploring the ruins of Fatehpur Sikri, the old deserted capital of the Mughal dynasty. Back to Agra for an overnight stay. Today, after breakfast, drive back towards Delhi. On the way, halt at Sikandra, to explore the Tomb of Akbra, the Mughal emperor that is an architectural masterpiece. On arrival, check-in at your hotel. Post lunch, embark on a half- day city tour covering the major Delhi attraction. Overnight stay. Get transfer to the railway station or the Airport for your onward journey.